Our partnership network includes reference companies in the area of audio coding, research and development institutions, studios and audio producers, manufacturers and distributors of audiovisual equipment, consultants and experts in acoustics, architecture, event logistics, civil engineering, eletrotechnics, electronic engineering, set design, virtual reality, industrial design, computer graphics and music, programming, web, phonographic market, marketing and international relations. We count with the support from agencies financing research and technological innovation, such as FAPESP (The State of Sao Paulo Research Agency) and CNPq (The National Council for Scientific and Technological Development). 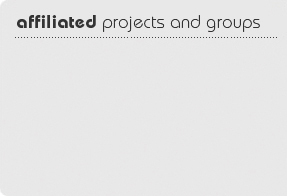 Here are links to this and other projects, works and relevant groups in the area. • AUDIENCE – Audio Immersion Experience by Computer Emulation. R&D project in 3D audio and immersive auralization, initiated in 2003 and finalized in 2007. It was led by Prof. Regis Rossi A. Faria, researcher at LSI POLI USP. This project gave born to a sound architecture for virtual reality environments such as the CAVEs unprecedented in the world. • AcMuS - Group of research and development of software for calculation, analysis and simulation of room acoustics for music practice. The project is coordinated by Profs. Fernando Iazzetta (ECA/USP) and Fabio Kon (IME/USP).